Today’s cabinet reshuffle has seen a number of high profile changes that have gripped the Westminster bubble (and let’s be honest, no one else). One of the smaller changes that was pushed through was the departure of Owen Patterson from the post of Environment Secretary. Hynd’s Blog has reported before about how he doesn’t ‘believe’ in man-made climate change including the time when he managed to recite 10 separate climate change myths on national radio in as many seconds. It is with considerable pleasure then that we see the back of him as he disappears back to the backbenches. 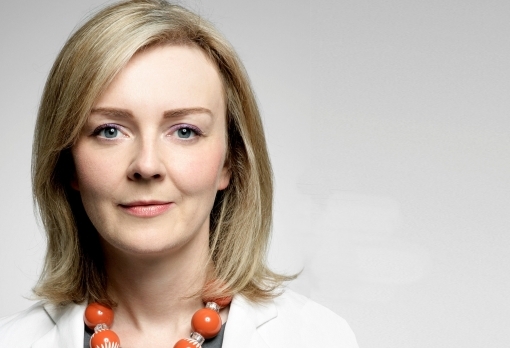 Replacing Patterson is the Conservative MP Liz Truss. Or perhaps a better prefix to her name might be ‘former Commercial Manager for Shell’ Liz Truss. This employment history comes from her Wikipedia page which in turn references her own website biography. Interestingly though there is no mention of Shell on biography now….I’ll let you decide why she, or a government press spinner, might have taken this bit of information down before she is announced as the new Environment Secretary. In case you are wondering about my use of Wikipedia, don’t worry, I cross checked it. We know that her employment history is true as she mentions it quite openly in a 2012 interview in the New Statesman. All this said, we know very little about her views on the environment in general. We know that she pushed for solar panels to be put on school roofs but opposed ‘solar farms’ in her own Norfolk constituency…and that is about it. Perhaps a more pertinent question for number 10 might be, what qualifications does she have to take up this role in the first place? But hey, as we know, actually knowing anything about a cabinet brief is a side issue. The main criteria for promotion in this reshuffle seems to be to not be posh and/or male with the focus on being what is right for the Tory 2015 election strategy not what is right for Britain.